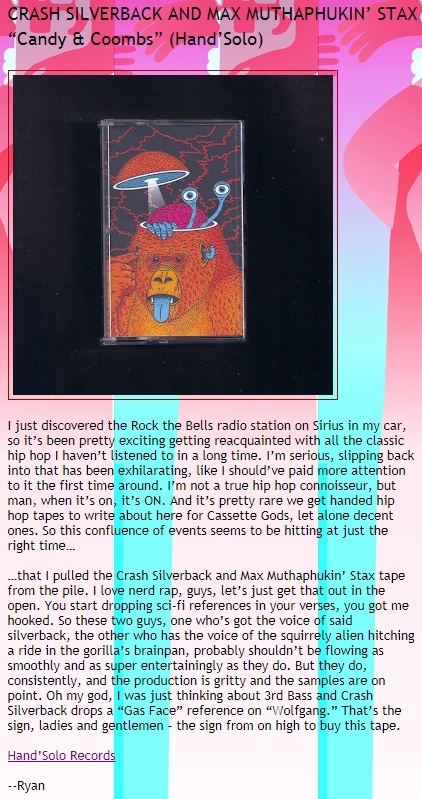 Another review for a cassette from The Dirty Sample, this one for his album Candy & Coombs, recorded with Max Prime using the aliases Crash Silverback and Max Muthaphukin’ Stax. Ryan at Cassette Gods liked it and highly recommends the tape. Go get it, or get the gas face!